Credit card debt is an issue that most American households face. Statistics suggest that 1 in 3 Americans carry balances on their credit cards. Credit card debt adds a significant burden to the overall level of household debt, and reducing it is priority #1 for borrowers. Once a debt exists, it needs to be repaid, to avoid the ballooning interest-related repayments on that debt. Most people understand that debt repayment is the easiest way to reduce the debt burden, but are there alternative options available to pay less on credit cards when debt already exists? Make Timely Payments on Each Outstanding Credit Card. It is advisable to always make on-time payments for each of your outstanding credit card debts. If you miss a payment, you will be billed late charges, and additional debt will be incurred on your debt. Pay off More Than the Minimum Every Month. It is common knowledge that the more you pay, the less you pay. Since you’re probably dealing with APRs in the region of 20% – 30%, you probably realize that the minimum monthly repayments barely scratch the surface of the interest component of your credit card debt. Pay more than that, and you are paying down the principal. Evaluate Your Expenditures. This may seem an odd inclusion in credit card debt repayment, but it is valid. Once you categorize your expenditures, you will see which components of your spending habits can be curtailed. By categorizing spending, you can budget accordingly and reduce expenditures. The money that you save by curtailing expenditure can be used to pay down your credit card debt. Now let’s look at some unconventional ways to reduce the total amount that you’re paying on credit card debt. Compare different types of credit cards . There are many ways to do this, the best of which involve credit card aggregator sites. These provide comparative statics for you to evaluate one credit card against another. There are multiple options available, such as American Express, Discover, Visa, and MasterCard. Once you have compared different types of cards, it is advisable to pick cards with the lowest APR. APR is an acronym for annual percentage rate – the lower the better. The APR includes things like the interest rate, fees, commissions, hidden charges, and monthly maintenance fees, and all other lesser-known charges that raise your interest rate. You may find it useful to select a 0% APR credit card (typically for 12 months – 18 months) since this will reduce your interest -related payments on your credit cards. Debt consolidation loans have proven to be one of the most effective ways of paying less on credit card debt. A debt consolidation loan ‘consolidates’ similar types of debt such as credit card debts into a single loan which is repayable over a pre-set period of time, at a lower interest rate than the prevailing credit card rate. This is a great way to reduce your overall burden. The thing about a debt consolidation loan is that you will pay off your credit cards instantly, so there will be no monthly carryover and interest-repayments on outstanding debt. 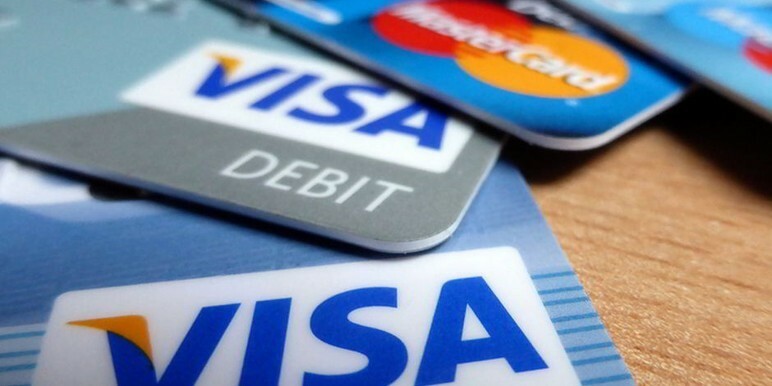 Pay off your highest credit card debts first, particularly those with high APRs. Since these are associated with the highest interest repayments, they are the most burdensome debts. Use cashback to your benefit. Most credit cards offer perks such as frequent flyer miles, or cashback. You will typically receive between 1% cashback and 2% cashback. If you are going to be spending money on things like home renovations, new equipment, new furniture etc., it’s always a good idea to use the cash back option to receive cash back on those types of purchases. Remember to repay your credit card bill in full before the end of the month so that you don’t incur interest-related charges on those expenditures. If you don’t make a timely payment, you will nullify the effectiveness of the cashback offer. The fifth and final tip to pay less on your credit cards is to avoid using credit cards at ATMs. Many folks are unaware that the fees on withdrawing cash from ATMs are highly restrictive. You’re better off using your credit card at a POS terminal, but do not use it at an ATM because you will be paying through your nose to withdraw those funds.